I have shared this one previously on Facebook. 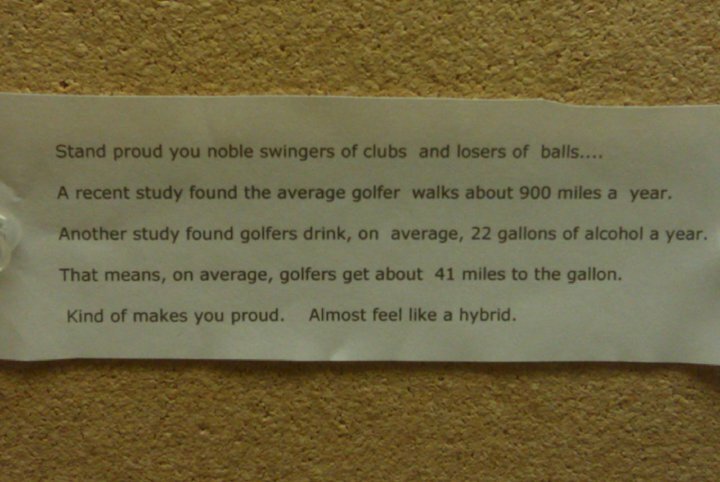 It was posted on a bulletin board over a urinal in a golf club locker room. It makes me chuckle. This second one was spotted during a recent round at Ravisloe Country Club in Homewood, Ill. Ravisloe used to be a private club before running into financial problems. The club, which now operates as a semi-private facility, was purchased by a veterinarian who is very green. 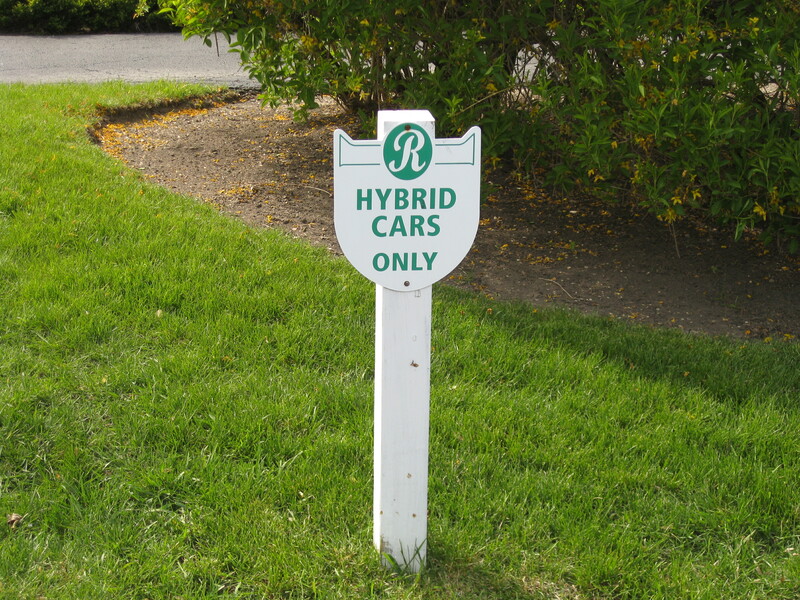 And if you roll your hybrid into Ravisloe, you’re going to get one of the prime parking spots.